Online shopping has grown by leaps & bounds recently. Gone are the days when online shopping was restricted to a few tech savvy people. Nowadays, a-z products are available on online sites such as Amazon, eBay promising convenience to the customers who can buy an item online through a click of a button. The factors such as trust, security, and reliability have been the major influencing factors for people making an online purchase. In-spite of the innumerable choices of online sites, for first timers, the online experience can turn bitter sometimes. A friend of mine had one such experience. He bought a mp3 player from an online site. Though the images of the product displayed were appealing which lulled him to immediately buy it, latter when he received the product, there was a big difference between what he had thought he had bought and what he finally got. Hence, it always makes sense to check few things before purchasing a product online. Below are the 5 major points to be considered before buying a product online. While making an online purchase, it’s advisable to check out related products bought by our friends. For example, you are planning to buy a mobile with a camera feature. There are a lot of phones available having this feature. What happens if you buy a phone and then it ends up having poor clarity? Or what if the phone has a low battery life. In this case, checking up the related products bought by friends will give us a wide variety of choices within the product category. You can stumble upon a product which has better tradeoff in terms of features with a better price, which you friend might have recently bought. The emergence of sites such as ShopSocially, Addoway enables a user to check out the products bought by friends. Who knows their recent purchase might help you buy your dream shopping product! This is similar to asking advice from our friends before making a purchase. The collective wisdom of our friend’s network ensures that not only we make a proper judgment but also end up getting inputs on new products which we may have been unaware of. 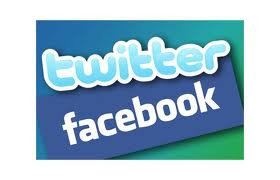 The increased presence of people in the social sites such as Facebook, Twitter makes it easy to reach out to our friends in asking their suggestion. Sites like ShopSocially have an exclusive ‘Ask question’ feature using which one can ask question to their friend’s network. Because of its integration with Facebook, your question gets automatically flashed in your facebook wall and anyone can chip in their suggestion. As someone said, Experience is wisdom. So are reading reviews before purchasing a product. These kinds of reviews are generally put up in most of the online sites, where the users share the reviews about the product, its benefits & flaws. In case of technology and tech gadgets, there are also third party websites which share the reviews. Reading reviews about the product will help us make an informed decision and consider the tradeoffs associated with the product features. Sites like Delver, ShopSocially have integrated with Facebook where others can write reviews on a product purchase thus helping out other people. Reading reviews are fine but at the same time, one needs to be aware of the credibility of such reviews as they might be skewed up in favor of one particular brand. It’s wise to refer to some more websites before deciding to buy a product. Amazon has a rating system where the registered user rates the product and based on the combined ratings of the other users, the user can be assumed to be reliable. This increases the credibility factor so that the buyer knows for sure that the product sold by the seller will be as stated in the product profile. Another factor which helps a lot while purchasing a product online are reviews by friends. Most of us refer to our friends while making a purchase. Such referrals from friends not only makes the decision making process easy, it also reduces the background research work which we would have to do like reading reviews from multiple sites. Who can resist the offer of a discount or coupon offer while making a purchase? Online sites in order to increase the customer loyalty provide discounts on the purchase of certain products. It is advisable to refer to multiple sites to compare the prices of the products. You never know where you would find an attractive offer! There are few comparison sites like AOL shopping, myshopanion which allows the user to compare prices of product and also provides coupons to the consumers for a purchase. 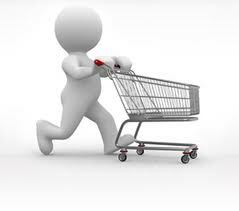 Online customers can also make use of bargain sites where the customers gets discounts for bulk deals. They can obtain the discounts by joining up with others users who want to buy the same product. Shopping is not only about purchasing but is also about attaining personal satisfaction. Following such simple steps will ensure that not only we buy a product online (which saves us time & provides convenience) but also we obtain a good deal at the end of the day.